Join Washington State Wineries in celebrating International Women's Day. Two Washington State Wineries on the Olympic Peninsula are owned and operated by women: Olympic Cellars and Harbinger Winery. The other six Washington Wineries / Cideries are owned and operated by families or couples. 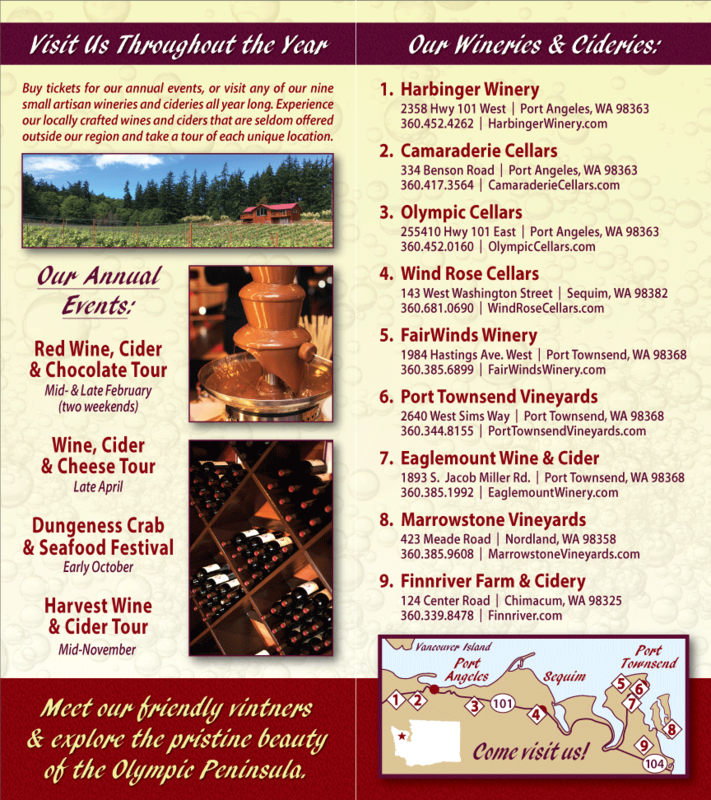 Support local Washington State wine and women winemakers on March 8, 2011. Olympic Cellars is hosting a Women’s Day Celebration at 6 p.m. There will be freshly baked bread, homemade soup, and of course locally crafted wine and cider. 2011 will be the 10th annual Olympic Cellars community IWD celebration, and all are welcome: women, men, and children.